The Norwegian composer Marcus Paus has a new CD out. On Sheva Contemporary, it is entitled Odes & Elegies and features instrumental solo and concertante works with Tom Ottar Andreassen (flute), Jan Bertelsen (oboe d'amore), Ole Eirik Ree (cello), Bjarne Magnus Jensen (violin), Henning Kraggerud (violin), Norwegian Radio Orchestra / Ingar Bergby, Oslo Camerata, and The Arctic Chamber Orchestra. When I spoke to Marcus by Skype he explained that all the works on the disc involve a soloist (they are a mix of solo pieces and concertante works) and he feels that the soloist as protagonist in the works introduces a certain overall theme of solitude to the disc. 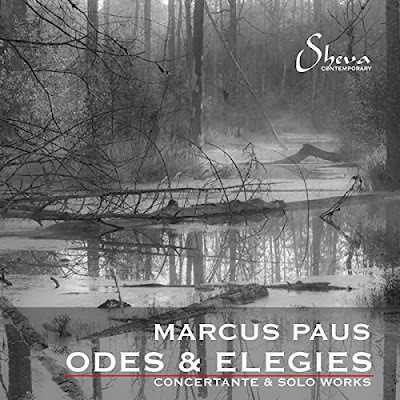 Many of the works on the disc have concrete themes, and Marcus explained that this was one of his favourite ways of working, using his music to empathise with something pre-existing. He feels that though his music is not quite descriptive, this empathy is innate in his musical make-up. He refers to himself as a musical dramatist, whatever the form of the piece, and his music conveys something that is human. The visual arts is a strong theme in Marcus's music, two works on the disc are inspired by visual artists (Marble Songs was composed in response to an exhibition by the Norwegian sculptor Håkon Anton Fagerås and Vita is inspired by the Norwegian Sculptor Emmanuel Vigeland) and each of his four quartets is named for a painter. Both Marcus's parents are singers and he grew up thinking about music as belonging to the other arts, and some of his earliest experiences were of music in film. But his parents also wrote their own music, so a link between music and the written word is also important for Marcus. He is happiest writing music to something, or for someone. He likes writing for people he knows well (such as Loves last rites on the disc, written for violinist Henning Kraggerud), this gives him a chance to get to know them better and for them to experience his music on a more visceral level. Asking a composer to describe their music is always a tricky question, but Marcus says that this is a question that every composer needs to ask themselves. He thinks of his music as melodic, it speaks in terms of melody, and has a frankness and directness. A lot of his music is tonal, but it is not always traditional even though it is not abrasive. He adds that his language can be more dissonant than it seems. This is evidently important to him, he wants his music to speak on various levels and for there to be a level of pain and poignancy under the melody. This is what he is attracted to in music, an appealing surface with friction underneath. As a boy, Marcus rather took it for granted that his parents were musicians, that there were a lot of instruments, artists and musicians about. He saw the milieu as a given, not at all exotic and he was not attracted to instruments until he was 11 or 12, though prior to that he had played the piano a bit. It was during his adolescence that he began to experience music as something meaningful in an abstract way. By the time he went to the music high school in Oslo, he had played in pop and rock bands but the high school was his first experience of meeting children with different musical experiences, from a more classical background. He started writing music for them, and found the joy of writing something for them and then hearing it. He played the guitar and played some technically challenging music, but he discovered real musicality when writing for other people. When I ask Marcus what composers he admires or is influenced by, his quick response is John Williams for his eloquence and craftsmanship, and Williams' was some of the first orchestral music that mattered to the young Marcus. Other composers Marcus names are Ravel, Shostakovich (whose initials D.S.C.H. form the backbone of his Shostakovich in Memoriam on the new disc), and he went through a period being attracted to composers from the English bucolic school such as Finzi. He explains that the composers to whom he is attracted are all melodists and some, like Poulenc, are not quite great composers. Whilst in his teens, as well as playing rock and pop, Marcus also experimented with play non-Western music on the guitar, and was interested in Indian and Bulgarian music. 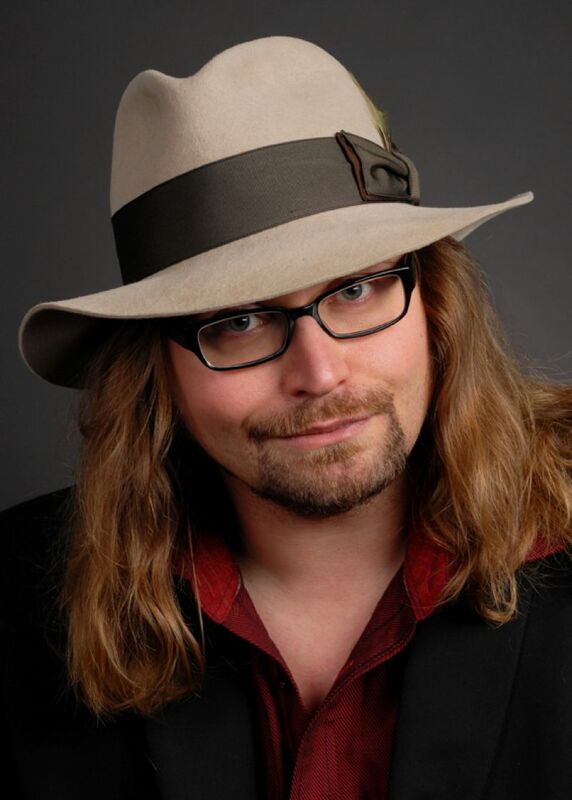 He continues to be fascinated by the folk music of other cultures and has written a number of folkloristic pieces. A recent Cd includes music for violin and piano based on Bulgarian folk music. Norwegian folk music did not really make an appearance in his musical make-up until he left Norway (he did his masters degree in New York), and it is still present; his flute concertino, A Portrait of Zhou, includes references to Norwegian composers of previous generations. Marcus is currently working on a new opera for the Arctic Philharmonic, and he hopes to finish it by January and is trying to stay on target. The premiere will be in Spitsbergen, which he feels must be some sort of record for the most northerly opera premiere He is also beginning a new song-cycle for soprano and guitar based on the Norwegian poet Ulrik Farestad, and has a symphony for brass band in the pipeline. Odes & Elegies - Sheva Contemporary - available from Amazon.